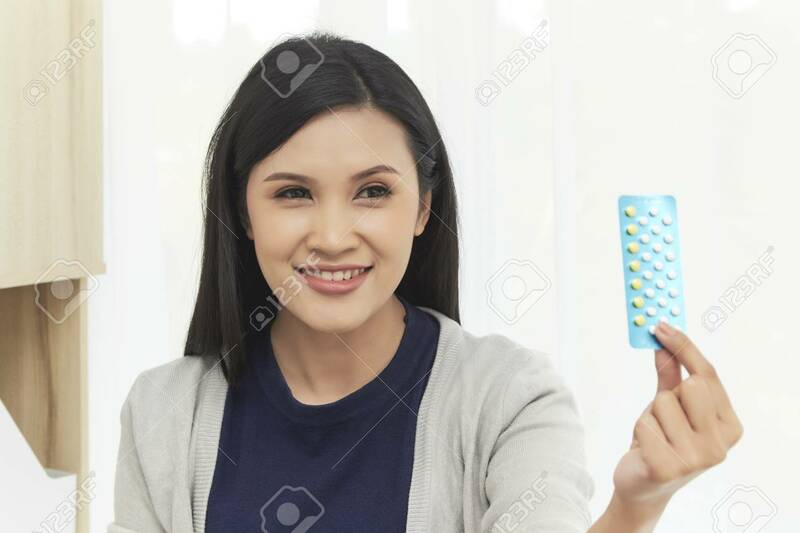 Happy Young Asian Woman With Pills At Home, Closeup. Want Children, Gynecology Concept Banco De Imagens Royalty Free, Ilustrações, Imagens E Banco De Imagens.. Image 98298761.